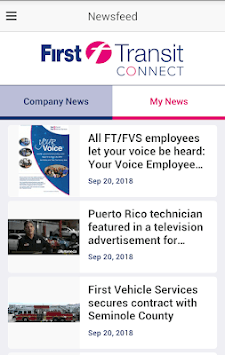 Designed specifically for First Transit employees, First Transit Connect provides you with access to local information and updates, best practices, policies and company news. Stay connected with updates and notifications directly from your manager. Also, view facility-posted news and information. 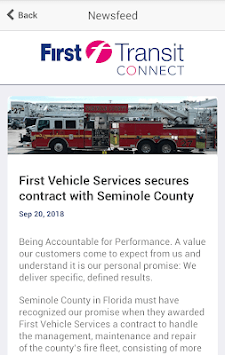 First Transit employees can link directly to tools and relevant content important to your personal success, as well as employee/company information via self-service functionality, including links to access policies and procedures, payroll, tax information, job opportunities, and more.